You guys know that pie brings people together, right? Call it a made up holiday if you want, but Valentine's it's as much of an excuse to celebrate joy as any. And... we'll take it! 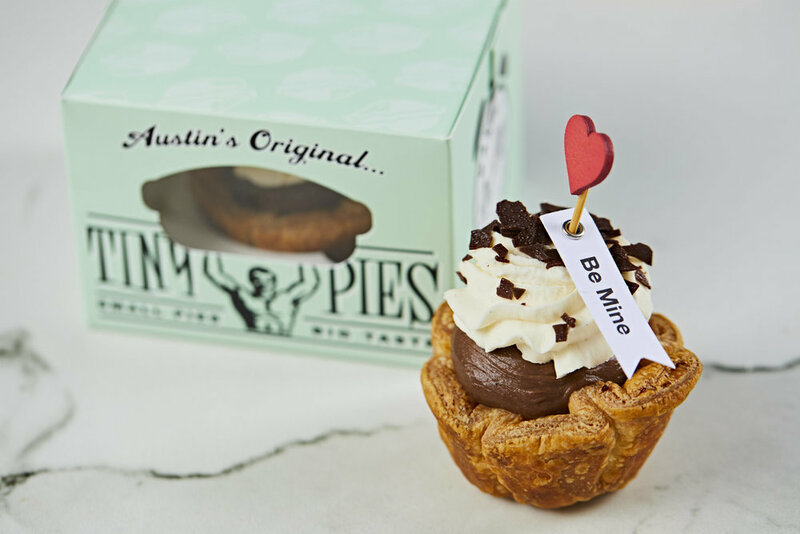 There are so many ways to show your love, and we'll never say there's a better one than pie. Our products really do tell all. Pre-orders end Saturday, February 9th. A 4"x5" edible valentine! 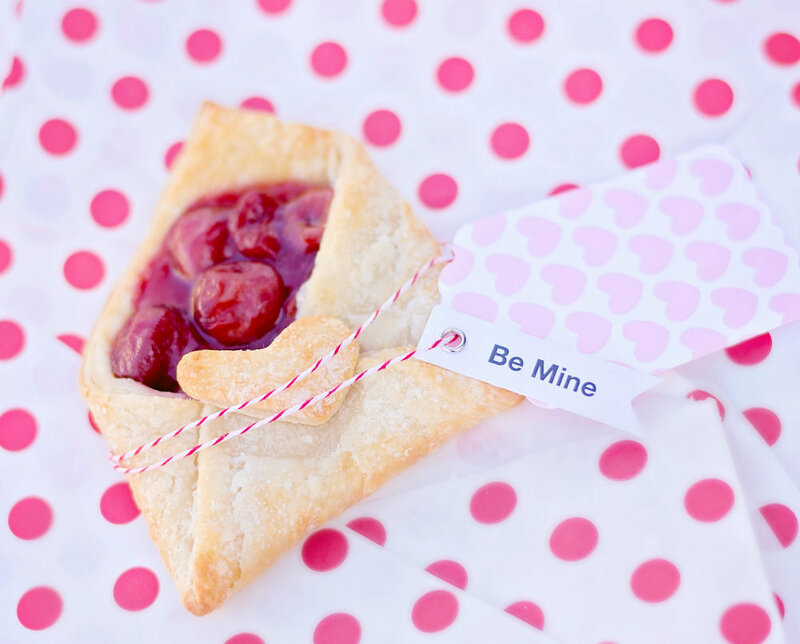 Made with tart cherry filling wrapped in our golden crust. Gift box included. Like a Tiny Pie, but much, much cuter. 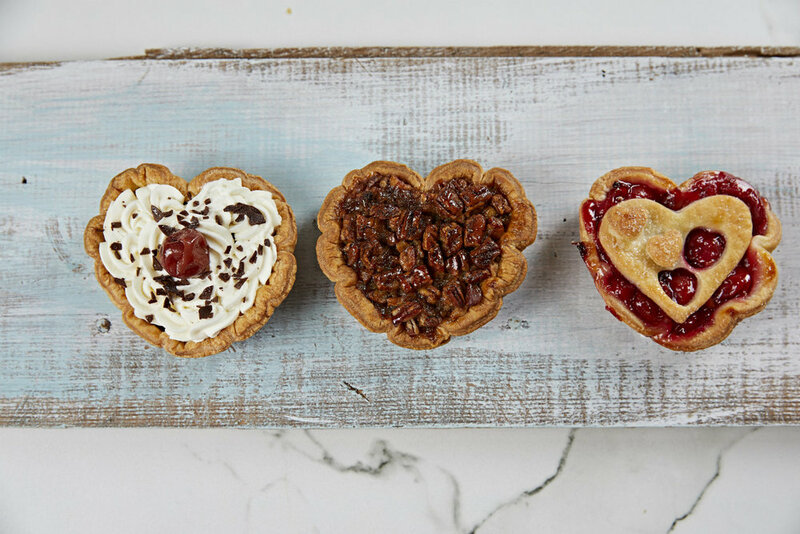 Choose between Chocolate Cream, Classic Pecan, or Cherry. Gift box included.